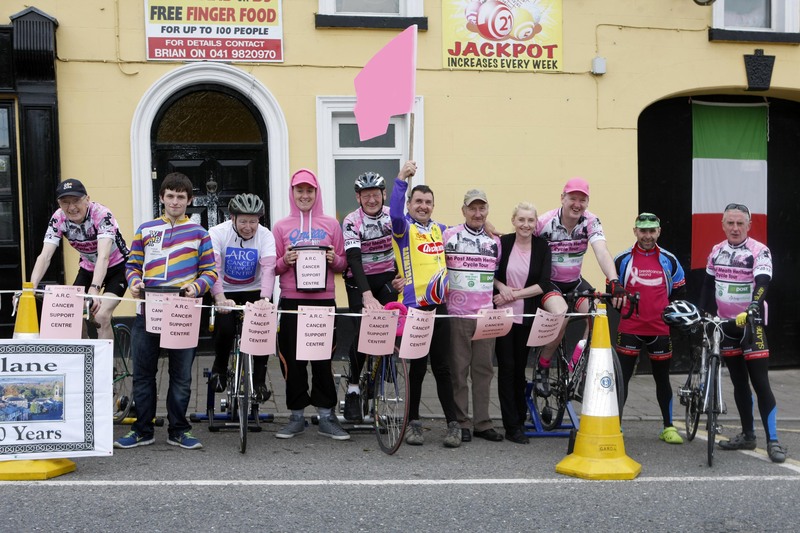 Navan Road Club were delighted with the success of their “Pink Roller Cycle” event that took place at the Boyne Valley Inn in Slane. The cycle was held to celebrate the arrival of the Giro d’Italia cycle race in the region. 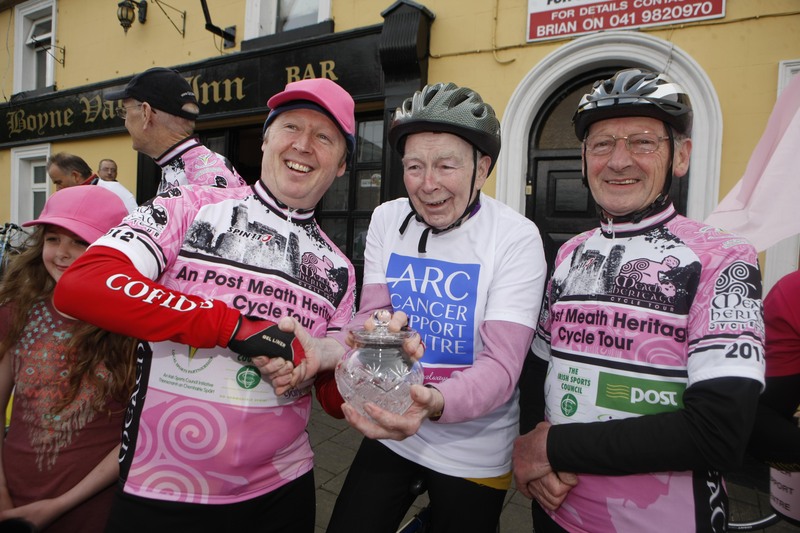 Patsy Fitzsimons, a legend in the club, officially started the cycle and also took to the rollers, along with Nicko Lynch and Frank Mc Closkey. The Slane Spinners also were out in force with Brian Kelly who was in tremendous form on the evening. At the start of the event Fr Joe Deegan P.P Slane made a special presentation to Patsy who recently celebrated his 80th Birthday and also for his tremendous contribution to the club over a long number of years. Also there was Noel Collier and Benny Gogan who are great supporters of all cycling events in the area and a great welcome they received. Club Chairman Matt Nolan was also there to encourage all in their most enjoyable. That evening a function took place in the Boyne Valley Inn, where the local Chapel Street Band provided music, and great entertainment with local comedian Tom Kerrigan also preforming. Proceeds of both events will go to the ARC Cancer Support Centre. The club thank all who took part and supported the event,also thanks to Brian and Gillian of the Boyne Valley Inn for all their support. No image may be captured, copied or distributed by any means without the written permission of the copyright holder.